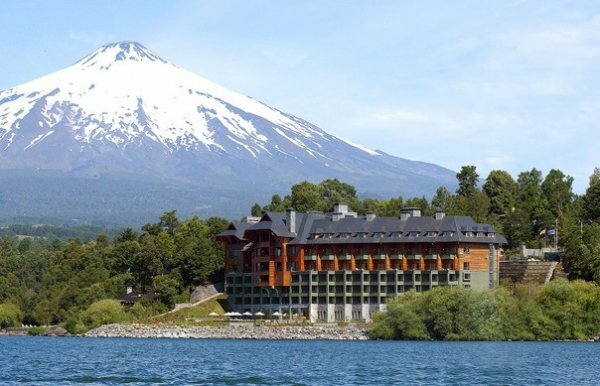 Boasting majestic views of Lake Villarrica and surrounded by dramatic national parks, reserves, and hot springs, we offer endless adventure. Retreat to a space that is spacious, elegant, and filled with opulence. Individual design traits pay homage to our surroundings—a unique opportunity for those wishing to truly experience our culture. Our exceptional dining venues entwine gourmet cuisine with indigenous flavor. Combined with our sumptuous surroundings, a unique, culinary experience will be enjoyed with every dish. Our soothing 18,000-square-foot Aquarius Spa & Gym invites guests to connect with nature, thanks to indigenous beauty products, which are incorporated into an extensive spa menu featuring 25 body, beauty, and facial treatments. To prepare guests for treatments or indulge them after, the spa offers Sensation Showers—specially designed to massage the entire body—as well as replenishing hot or dry saunas. A rejuvenating steam bath offers advanced detoxification, improving liver and circulation issues while reducing stress, muscular tension, and more. Meanwhile, smooth marble floors, whitewashed walls, and native wood and stone distinguish the spa’s serene décor, including a soothing lounge. Thoughtful nuances—like heated benches, which encourage relaxation by providing gentle, radiant heat to release tension and cramps and calm rheumatic pain—add to the comprehensive wellness scene. Offering an invigorating workout, the adjacent Fitness Center is furnished with state-of-the-art cardiovascular and strength training equipment, and our friendly, expert staff is on hand to assist with any needs or requests. 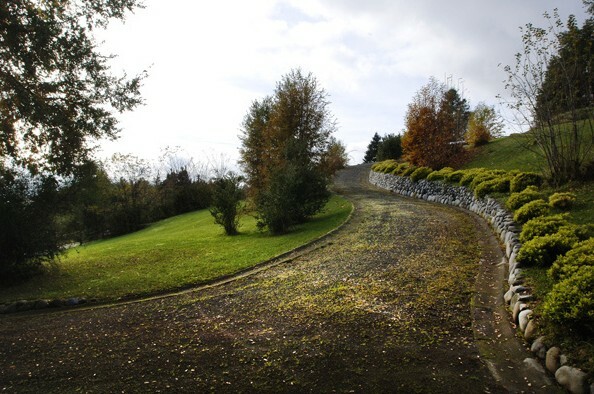 The palatial indoor heated pool further incorporates the hotel’s surrounding natural beauty via a wall of windows, which overlooks lush gardens and iconic Lake Villarrica. Nearby, a Jacuzzi and solarium offer a peaceful end to an active day. We strongly recommend that guests schedule all spa appointments in advance and confirm therapists’ availability upon arrival. Equipped with spinning bicycles, weight machines, and more, our comprehensive Fitness Center keeps guests in top shape throughout their stay while an inspiring view of Lake Villarrica and complimentary water keep them energized. For specific fitness needs, yoga, Pilates, and Aerobox courses are available by appointment, as is a personal trainer. 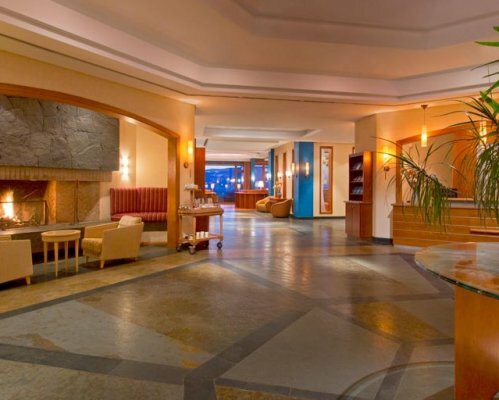 Offering year-round recreation, our heated indoor pool combines with a lounge area and Jacuzzi. During the summer months, aquatic activities move outdoors, where a second pool with captivating views is joined by a kids’ pool, constructed with our youngest guests in mind. On-site food and beverage service ensures an effortless relaxation experience. 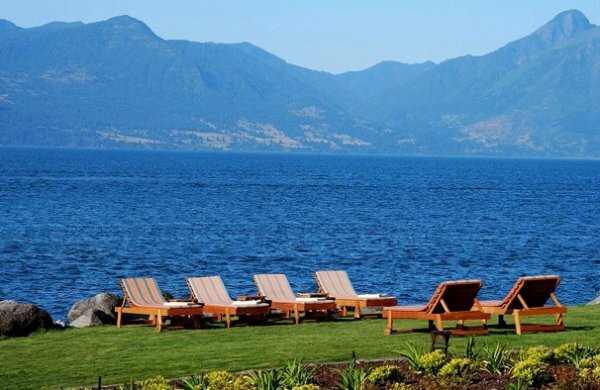 Open during the summer months of December, January, and February, our Outdoor Pool—surrounded by lush gardens and furnished with deck chairs—features a lunchtime grill bar along with magnificent views of Lake Villarrica. Our shallow Outdoor Kids’ Pool invites children aged three years old and under to take their first strokes while looking out over our emerald gardens and inspiring Lake Villarrica. All children must be supervised by an adult. Situated adjacent to the spa, our indoor heated pool and Jacuzzi offer an ideal way to stay in shape or simply relax after an active day. Our daily Kids’ Club—available to children 10 years old and younger—offers movies, singing, and dancing, along with toys and more. 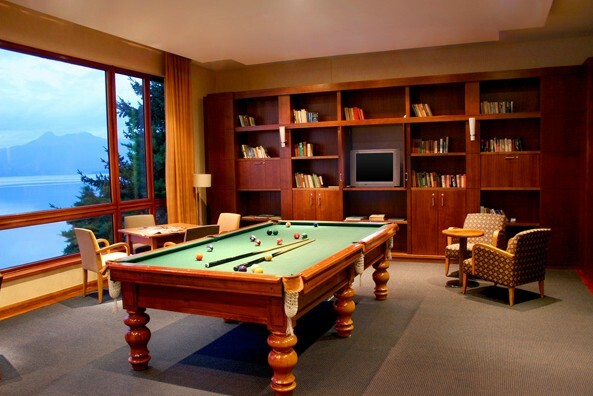 Activities for older kids include table tennis, a pastry class, and pool table. Additionally, the children’s playground is available Monday through Sunday. Please note that children under 12 years old must be supervised by an adult. There is no fee for participation in the Kids’ Club and no advance reservations are required. A kids’ menu is available both at Aguas Verdes Restaurant and via In-Room Dining. Whether guests want to touch-base with friends and family or attend to out-of-the-office work, our Business Center makes it easy, thanks to two complimentary work stations along with faxing, copying, and complimentary Internet-based printing services. Additionally, business services and currency exchange ensure all needs are met. Our Outdoor Sports Desk offers countless adventures. Exclusively from December through February, a myriad of watersports are available from our private pier, including waterskiing, kayaking, rafting, jet skies, and windsurfing. Additionally, boat rides and sailing are provided by a third-party vendor. Year-round, the desk is also happy to coordinate various on-land adventures. 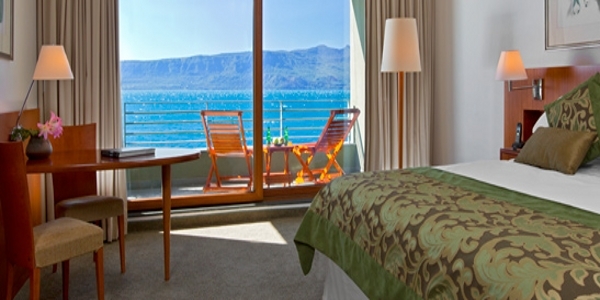 Select from skiing on the volcano, horseback riding, casino trips, fishing, and more. Please note that an additional fee will be charged for all activities. 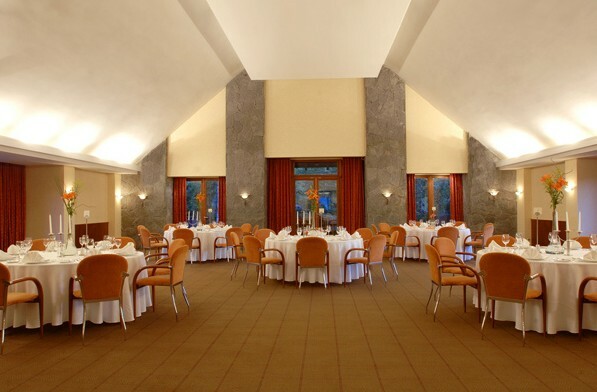 Uncommon in its enchanting surroundings, elegant venues, and exceptional services, Villarrica Park Lake Hotel & Spa is a majestic setting for memorable occasion or inspired celebration. Furthermore, we offer an unparalleled standard of hospitality, which is demonstrated by our premier services and professional staff. Services including state-of-the-art technology—like Wi-Fi and built-in audio—catering, and much more provide everything you need to surpass all expectations. 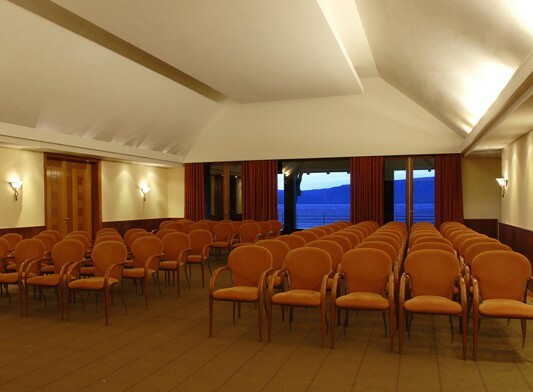 Our all-inclusive meeting and event services ensure an unforgettable event, thanks to our experienced team and multimedia technology, including meeting and destination planning, banquets, and catering, along with Wi-Fi and state-of-the-art audiovisual equipment. Select from wired and wireless microphones, various screens and data displays, and take advantage of built-in audio. Additionally, audiovisual support is onsite to ensure every event runs smoothly. Supplementary services, ranging from translation and secretarial services to flower arrangements can be arranged through a third-party vendor. Whether planning an intimate gathering with family members or a magnificent reception, we will create a memorable event, specified to newlyweds’ dreams, with everything from planning assistance and floral arrangements to personalized menu selection and an ever-present event specialist, who will be on hand to assist throughout the occasion. In addition to an unsurpassed ceremony and a private room for photography, our wedding package includes exceptional reception services from menu tasting and creation to floral centerpieces. When the party has died down, the bride and groom enjoy complimentary wedding night suite accommodations with champagne as well as exclusive room rates for guests. A year later, the memories continue with a complimentary first-anniversary dinner at Aguas Verdes Restaurant. 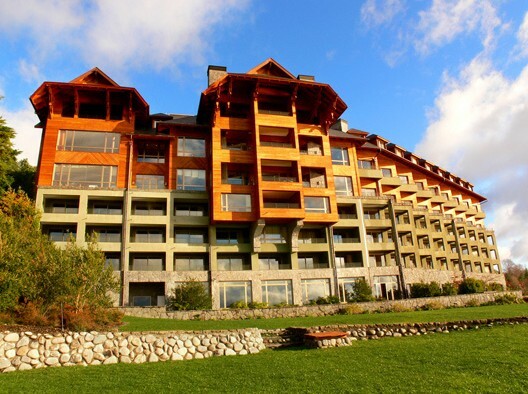 Distinguished by modern, elegant décor, our 70 guest rooms and suites reflect their breathtaking natural surroundings, with the majority of accommodations housing a private terrace with table and chairs overlooking luminous Lake Villarrica. 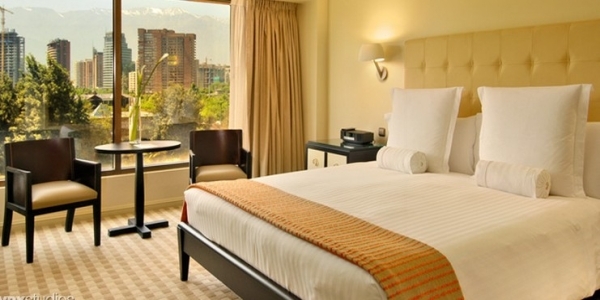 Indoors, state-of-the-art technology, ranging from satellite televisions to High Speed Internet Access to individual climate control, combines with unsurpassed amenities, including complimentary bottled water and local Chilean cookies. Additionally, soothing bathrooms house separate bathtubs and rainforest showers, along with exclusive Luxury Collection bath amenities. Recalling the natural serenity of Southern Chile, our 46-square-meter or 495-square-foot Superior Rooms welcome guests with earthly hues. Further, smooth wood furniture populates the seemingly separate sitting area, which includes a writing desk ideal for connecting with friends and family via High Speed Internet Access. The nightstand, meanwhile, houses a direct-dial telephone with voicemail. 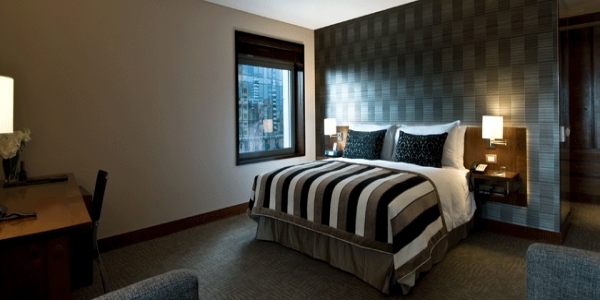 Other in-room technology includes a 32-inch television with satellite channels and individual climate control. Natural light floods the airy room through floor-to-ceiling sliding glass doors, which open out onto a balcony overlooking Lake Villarrica, landscaped by ancient forests and dramatic peaks. 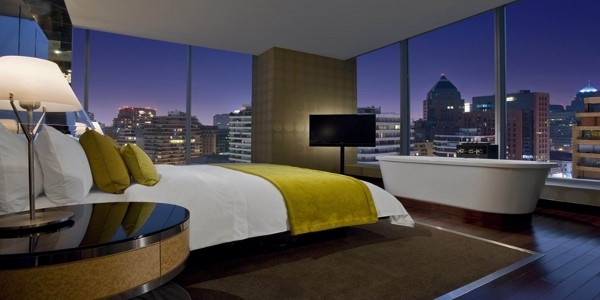 Step out to watch the sunset with a cold beverage from the mini bar and complimentary Chilean cookies. When night falls, an inviting bed wrapped in 300-thread-count linens beckons. Wash up before turning in with a soothing rainforest shower or bath in the serene bathroom adorned with evocative tiles and ceramics. Exclusive Luxury Collection bath amenities and plush bathrobes add to the relaxing experience. Stepping into 72-square-meter or 775-square-foot Junior Suites, guests encounter a welcoming living room, where a sitting area is appointed with warm tones and furnished with a sofa bed and 32-inch television with satellite channels. Meanwhile, a work desk provides an ideal space to utilize the hotel’s High Speed Internet Access, data port, and direct-dial telephone. Across the room, sliding glass doors allow Southern Chile’s sunlight in while opening out onto a private balcony with iconic vistas of Lake Villarrica and the surrounding peaks. A table and chairs invite guests to enjoy a beverage from the fully stocked refreshment center or in-room coffee maker. Complimentary Chilean cookies offer the perfect accompaniment. Additional amenities include two closets and an electronic safe. Moving into the spacious bedroom, an alluring bed wrapped in 300-thread-count linens resides alongside a 39-inch television, while the opulent bathroom houses a separate bathtub and rainshower, both elevated by exclusive Luxury Collection bath amenities and plush bathrobes. Ideal for a family stay, our 90-square-meter or 969-square-foot Deluxe Suite opens up to a large living room, complete with a sitting area furnished with a plush sofa bed and armchairs. Settle in after an active day and enjoy a movie on the 39-inch television with satellite channels. The fully stocked refreshment center and authentic Chilean cookies provide the fuel. 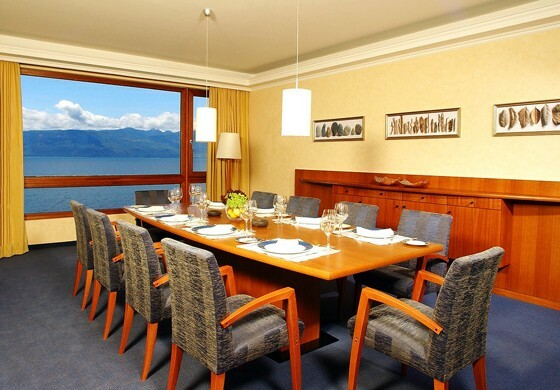 For a full in-room meal, access the six-person dining table, and connect anytime via the High Speed Internet Access or the direct-dial telephone. Moving out onto the private balcony overlooking Lake Villarrica, a table and chairs invite guests to take in the incandescent scenery and fresh Chilean air. Meanwhile in the master bedroom, a king-size bed is topped with 300-thread-count linens and joined by a 32-inch television and large closet. 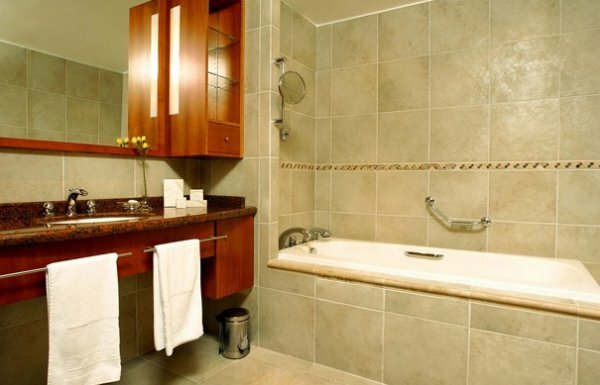 An en-suite bathroom invites relaxation thanks to a square whirlpool tub and separate walk-in rainshower. Exclusive Luxury Collection bath amenities and bathrobes add to the opulence. An additional half-bathroom is situated off the living room. Displaying the hotel’s signature sophisticated natural palette and elevated modern décor, the gracious 170-square-meter or 1,830-square-foot Presidential Suite beckons. Instantly, the living room with sitting area invites relaxation, thanks to contemporary furnishings and a 32-inch television with satellite channels. Meanwhile, a work desk equipped with High Speed Internet Access ensures easy communication, as does the direct-dial telephone. When it comes time for leisure, a 10-person dining room promises an intimate, memorable in-room meal. Prepare it in the kitchen or simply indulge in the suite’s complimentary sparkling wine and local pastries. Either way, radiant views of Lake Villarrica, the nearby volcano, and lush surroundings provide an endlessly romantic backdrop, accessible from both inside the suite and outside on the private terrace with table and chairs. When it comes time to turn in, the serene bedroom offers a plush king-size bed wrapped in 300-thread-count linens, while a 39-inch television provides relaxing entertainment and a large closet ensures plenty of space. Additionally, the adjacent master bathroom houses a Jacuzzi and separate walk-in rainshower. In combination with premier Luxury Collection bath amenities and plush bathrobes, it promises unrivaled unwind. A second full bathroom is located off the living room. 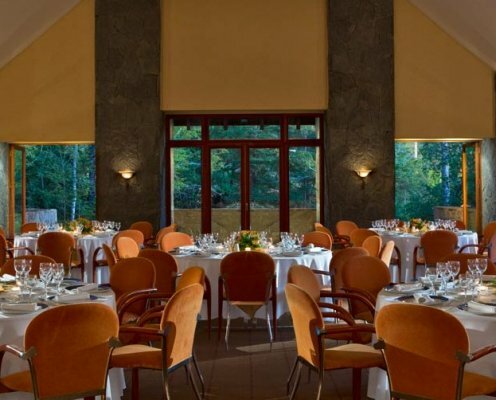 Experience an unsurpassed meal at our celebrated Aguas Verdes Restaurant, where an international gourmet menu highlights fresh local flavors and premier wine pairings, as warm, modern décor underscores a radiant view of Lake Villarrica. 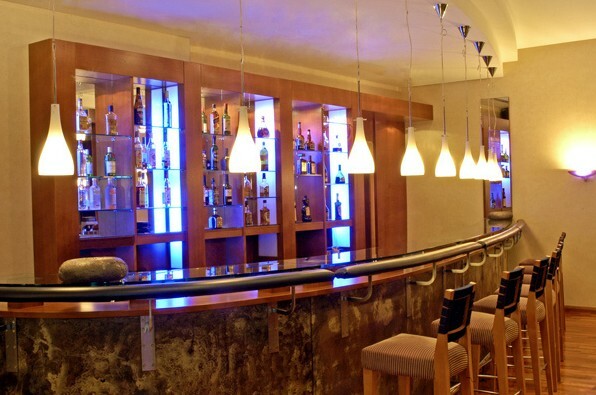 For lighter bites and custom cocktails, Vertigo Bar provides a premier setting, while Equilibrium Bar features similarly tempting options along with Tea Time for younger guests. For a nourishing pick-me-up, the Aquarius Bar is located in our spa, offering a refreshing range of light bites and beverages, including fresh juices. 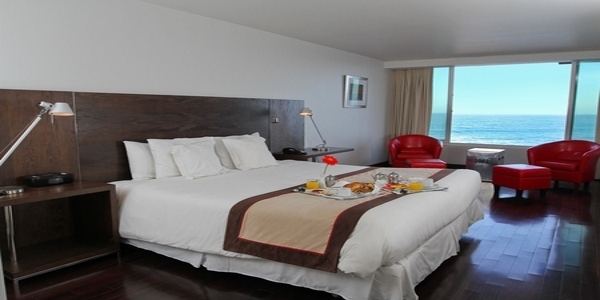 Additionally, we offer a 24-hour In-Room Dining menu to satisfy guests’ appetites any hour of the day. Rich hues and clean, modern furnishings along with breathtaking vistas of Lake Villarrica set the stage for a memorable breakfast, lunch, or dinner at Aguas Verdes Restaurant. Renowned for its fresh, indigenous ingredients crafted into classic epicurean cuisine, the restaurant’s à la carte breakfast offerings include favorites like Eggs Benedict, pancakes, omelets and more, while a wide-ranging breakfast buffet tempts. Meanwhile for lunch or dinner, the Chef’s Menu achieves the unexpected with a distinguished array of dishes. Specialties range from Salmon Gravlax, King Crab Agnolotti, and Smoked Trout Salad to Creamy Smoked Hen Soup and Seafood Risotto. Meanwhile, our fine wine anthology elevates every dining experience. Located on the striking terrace of the Aquarius Spa & Gym, Aquarius Bar offers both outstanding views of Lake Villarrica and a tempting menu of snacks and light meals accompanied by complementary beverages. Select from an array of refreshing salads or opt for an international favorite, ranging from a Pizza Margherita to a Club Sandwich to a Cheeseburger with Fries, prepared before guests’ eyes on the open grill. An inspiring stop for midday rejuvenation, Equilibrium Bar energizes guests with an array of light fare crafted from artisanal ingredients, including homemade pastries, and a spectacular view of Lake Villarrica. The notable selection of international tea and coffee offerings provide the perfect accompaniment. As the sun goes down, the bar’s fireplace alights, encouraging guests to relax with a selection from an array of wines or unrivaled cocktails. Overlooking the beautiful lake, Vertigo Bar is the ideal spot to enjoy a custom cocktail, like the Rigolemu, featuring a base of pisco, rose hip jam, mint infusion, and dash of sauvignon blanc, or the Araucanía Kir, which combines myrtle berry liquor and pisco with sparkling wine. Alternatively, opt for an exceptional glass of wine paired with celebrated local pastries, snacks, and light dishes. Enjoy the fresh air and iconic scenery from the bar’s picturesque terrace during Tea Time—or warm up next to the enticing fireplace during Happy Hour.